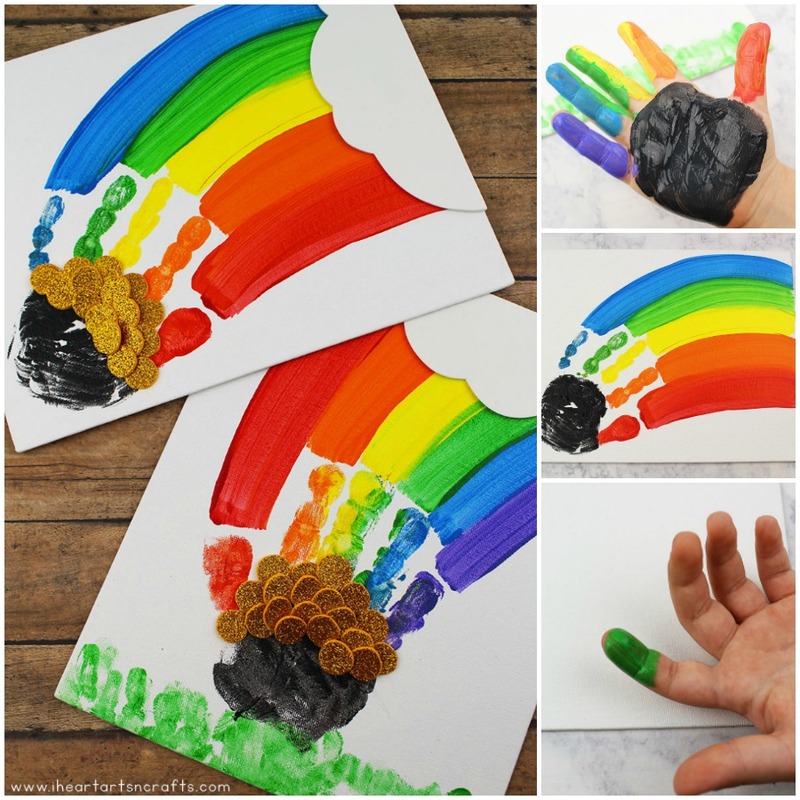 This cute and colorful handprint rainbow craft is perfect for a rainy day activity or as a fun St. Patrick’s Day craft! What mother doesn’t love a cute handprint keepsake? 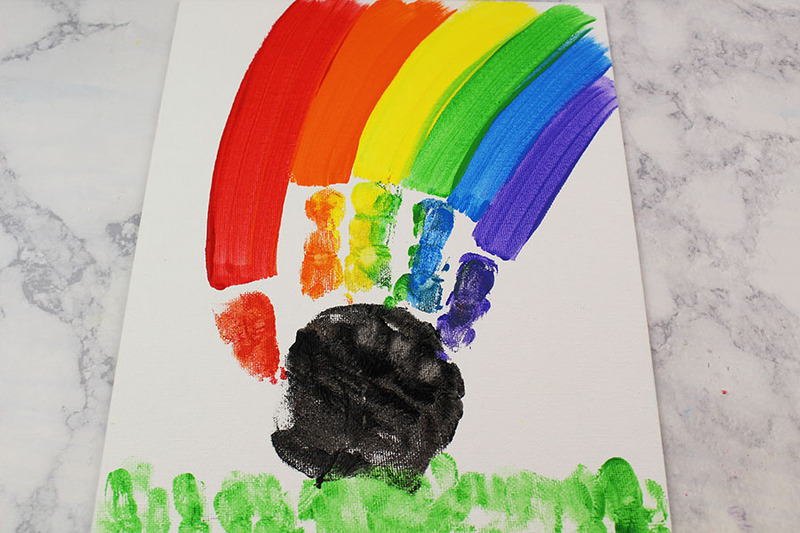 See how we transformed my kids handprints into the cutest rainbow handprint craft, complete with it’s own pot of gold! 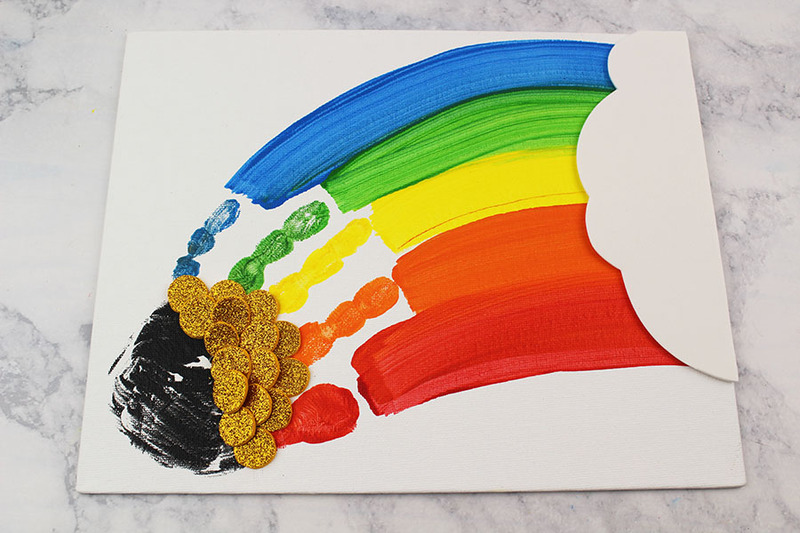 Prepare a paper plate with a rainbow of paint colors, including black. 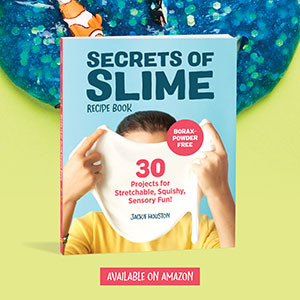 Paint your child’s fingers red, orange, yellow, blue, green, purple etc. 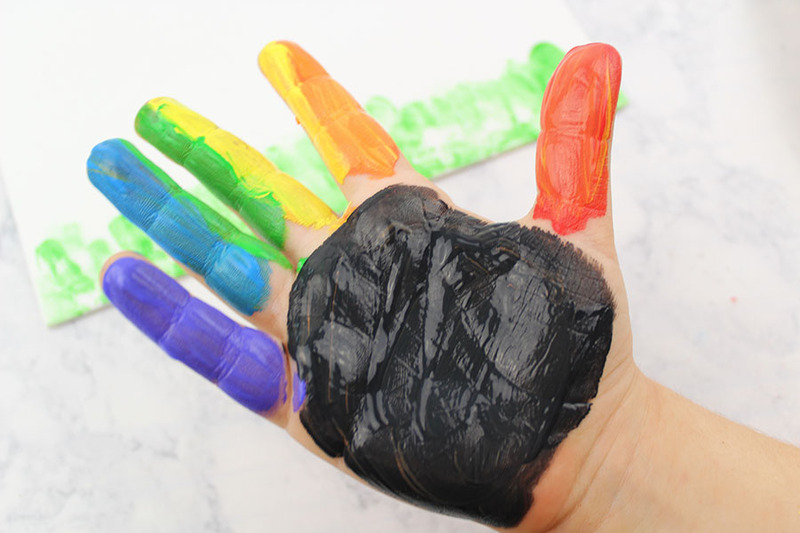 Paint the palm of your child’s hand with black paint. The paint should be put on thick. Firmly press your child’s hand on the corner of the canvas. Lift up in one quick motion. Be careful not to smear their hand on the canvas. Allow the paint to dry completely. 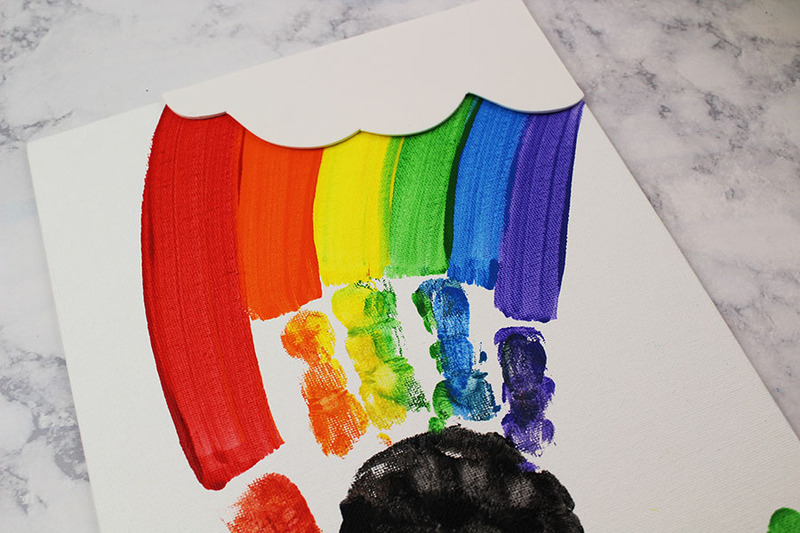 Let your child paint a rainbow coming off of the fingertips. Allow the paint to dry completely. Cut a cloud shape from white foam and glue on top of the end of the rainbow. Trim off excess foam. 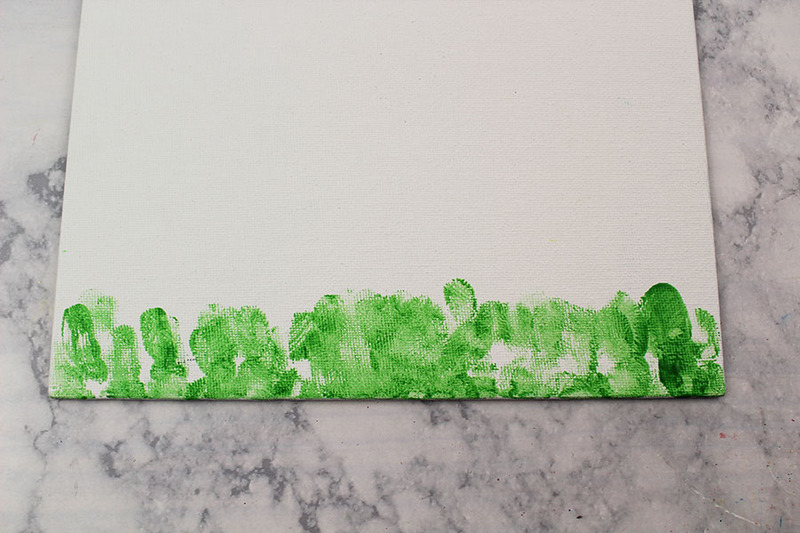 If you are creating the canvas with the grass, you will first dip your child’s finger in green paint and have them press it along the bottom of the canvas to create grass blades. 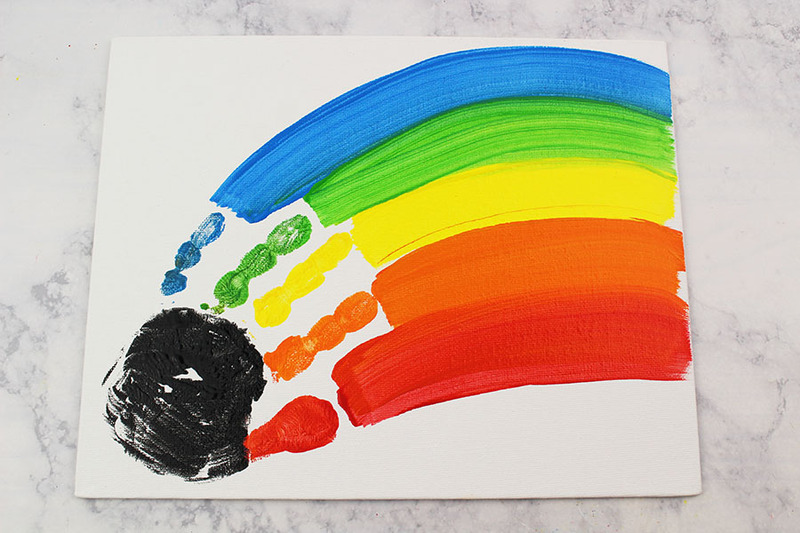 Follow the rest of the steps above except place your child’s hand in the middle of the canvas slightly on top of the grass.